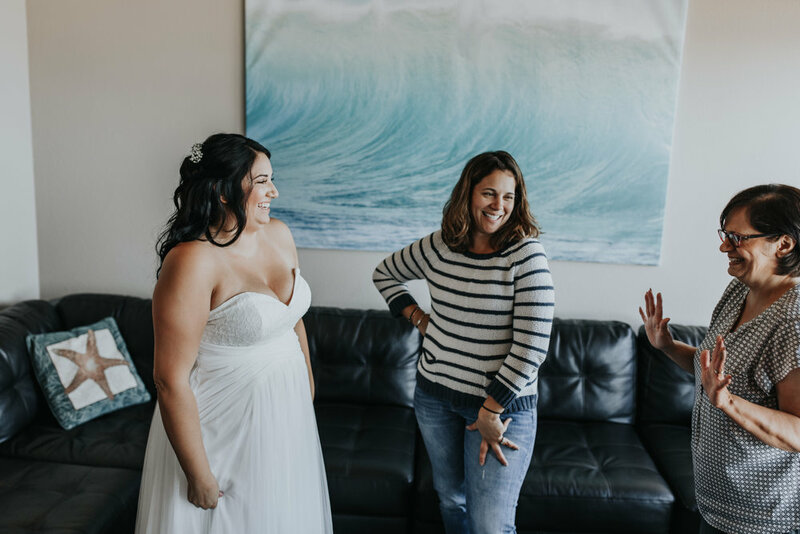 When people message me from out of state who plan on making the Oregon coast the place where they marry their best friend, I want to help ensure that not only is their wedding beautiful, but that the process is as smooth as it can be. I could only imagine the pressure of being able to pull off such an important day from hundreds of miles away. 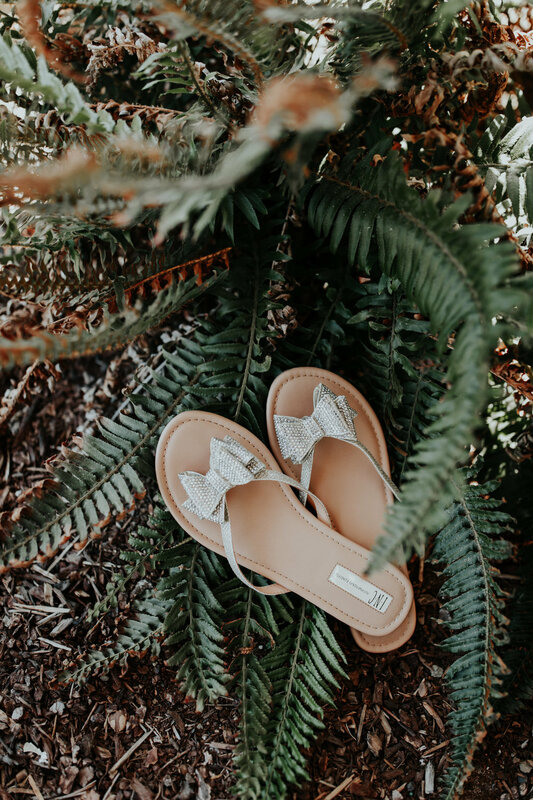 Growing up in Lincoln City, I am able to connect brides and grooms with beautiful locations and some of my favorite vendors. 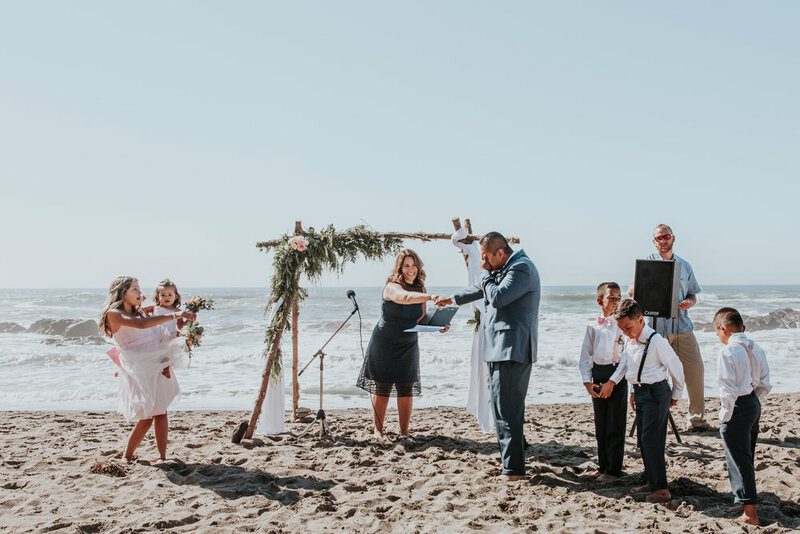 When Missy asked me where I thought a good place to say their vows would be, I immediately thought of one of my favorite beaches and without hesitation, she agreed. 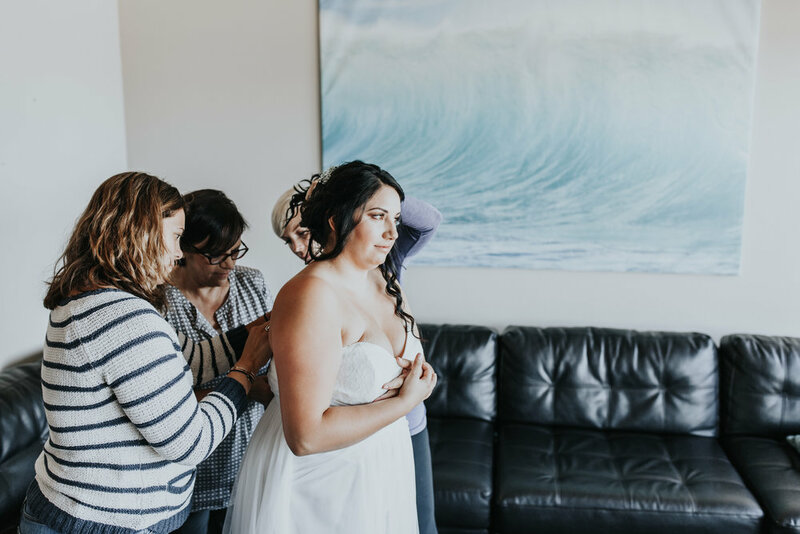 After communicating through email about recommended vendors, she went with the incredibly talented Newports Florist and Gifts for her bouquet, Side Door Cafe + Eden Hall for her reception and catering, and Sarah at Elements Salon for hair and makeup. The morning of the wedding, my amazing mom and I carried a homemade arch that my husband and little boys built for me, and we decked it out in florals and set it aside with fingers crossed that no one would steal it. Luckily it was there when we came back, and the beach ceremony was something out of a fairy tale. 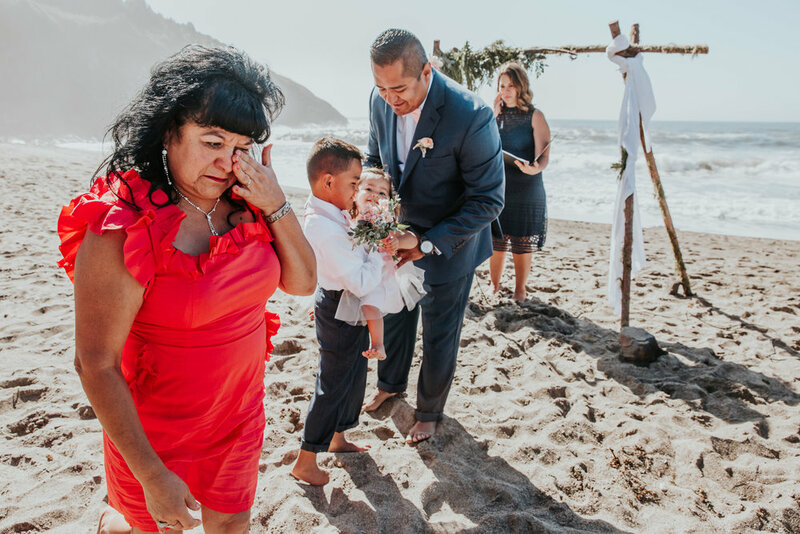 Surrounded by sunshine and light wind alongside their close friends and family, Mr. and Mrs. Hernandez were married by one of Missy's best friends. Happy tears were shed, and we made our way to Side Door Cafe for a reception to remember. I AM SO LUCKY TO GET BE ABLE TO CALL THIS MY JOB, and to walk away with clients who basically become extended family.